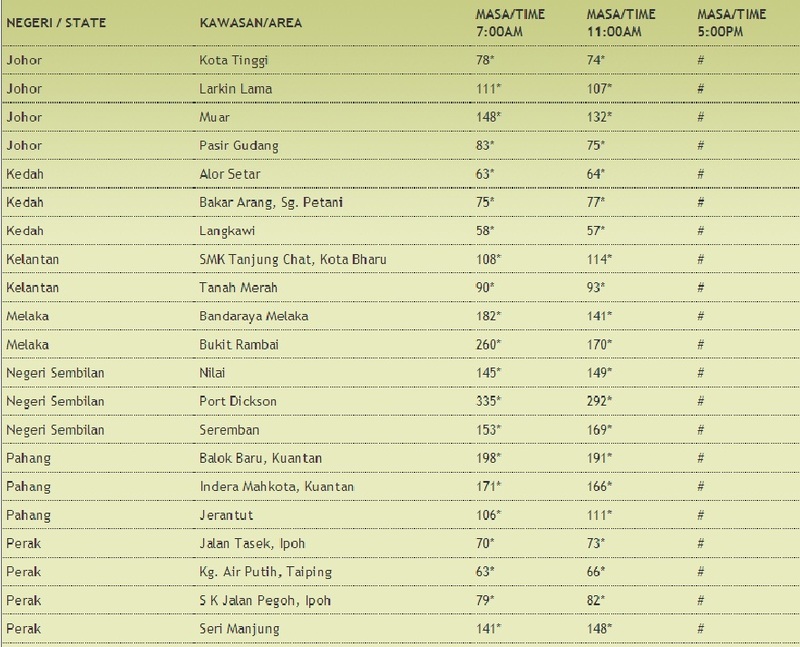 Hubby manage to get hold of the index and I thought I’ll share here for those who have similar problem accessing from the main site. Please take care everyone. Drink plentiful of water and try to stay indoor as much as possible. 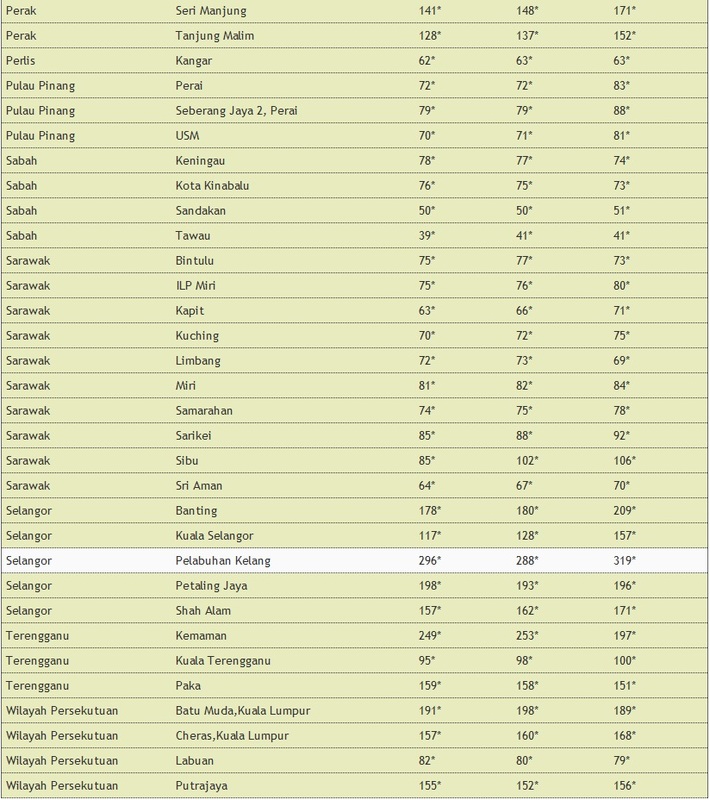 Port Klang, Selangor officially hit more than 300 at 5pm readings. 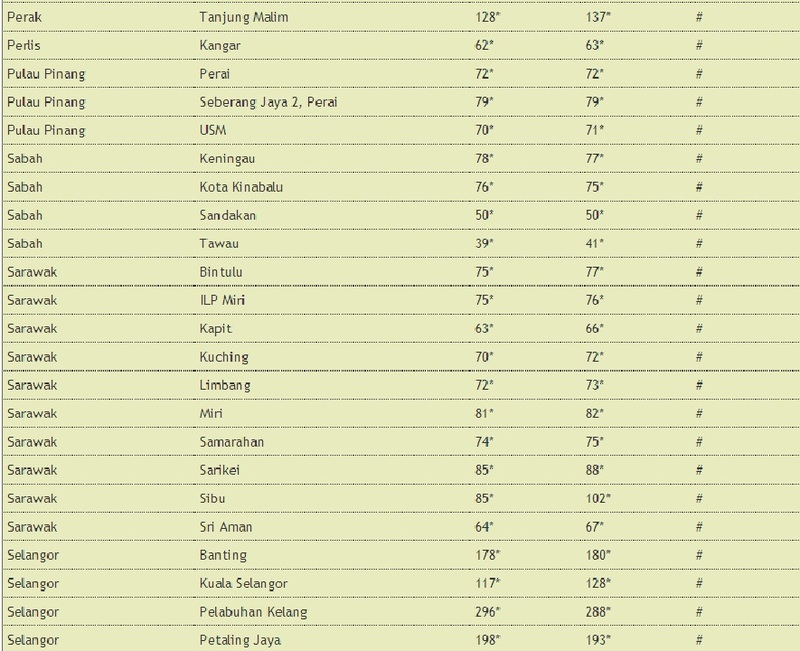 Seems like Selangor is getting most of the haze at this moment…. sigh.